Twelve Herbs from the garden are stitched & inked on 6 inch finished blocks, and finished in a crazy quilt setting. 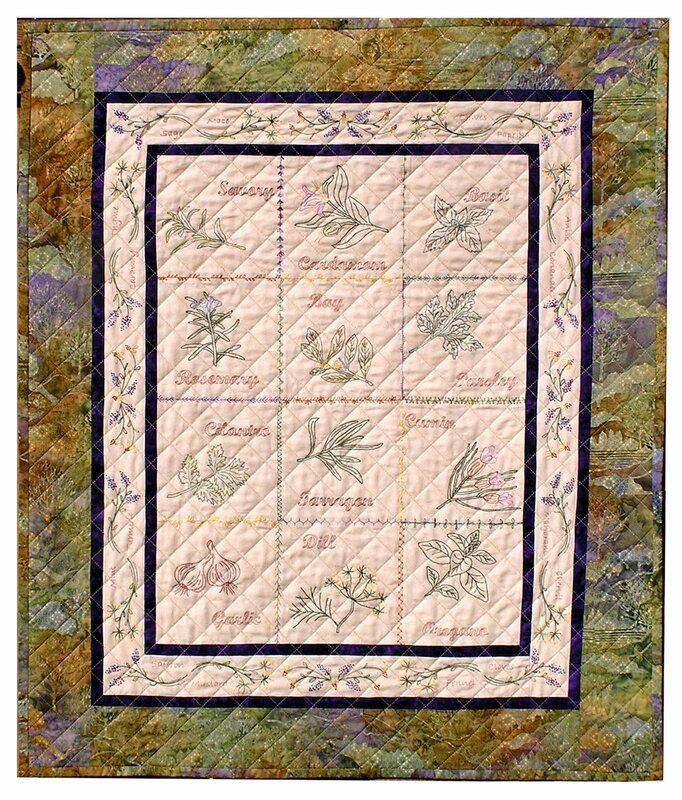 Herbs names and sprigs of flower surround the quilt center to make this 30" x 36" wall hanging. Sample was stitched with Sulky 12 wt threads. Thread chart list color conversion from Sulky to DMC & Anchor embroidery floss. Finished size 30" x 36".